Crystal Chissell, Vice President of Operations and engagement at Project Drawdown. Crystal has an interdisciplinary background in law, environmental science, and business management. 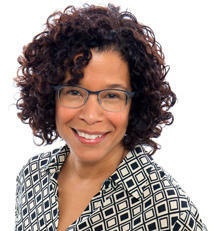 She has held leadership roles in and advised a range of organizations, including small businesses, the City of Baltimore, the Maryland Environmental Service, and the Town of Highland Beach, Maryland. She has worked at the University of San Francisco and at Bay Area arts organizations. Crystal holds a J.D. from the University of Maryland School of Law, an M.S. in Environmental Science from Johns Hopkins University, an M.B.A. from the University of San Francisco, and a B.A. in Journalism from Howard University. Robbie Orvis is the Director of Energy Policy Design at Energy Innovation, where he works on the firm’s Energy Policy Solutions and Power Sector Transformation programs. For Energy Policy Solutions, he conducts analysis on which policies can most effectively help meet climate and energy goals. As part of this program, Robbie co-leads a project for the Chinese government to provide policy guidance for its 13th Five Year Plan and climate strategy. Robbie is also a contributor to America’s Power Plan, a project of the Power Sector Transformation program that curates expert thinking on policy solutions for a clean, reliable, and affordable U.S. power system. For this project, he focuses on wholesale electricity markets and energy efficiency policy. His research on wholesale markets focuses on market designs and practices that help enable a high renewable energy future. Robbie’s work on energy efficiency policy focuses on how to design programs that can unlock greater energy efficiency investments using performance-based regulation. Prior to joining Energy Innovation in 2014, Robbie received his Master of Environmental Management from Yale University. While at Yale, Robbie worked on a variety of energy issues, from evaluating utility rate decoupling to designing city-wide energy efficiency policy. He also spent a summer consulting for the Housing Authority of the City of Milwaukee on energy efficiency programs. From 2010 to 2012, Robbie was a Research Analyst at the Environmental Integrity Project in Washington, D.C. where he researched regulatory, monitoring, and enforcement issues at power plants and refineries across the U.S to help hold large polluters accountable for their emissions. Robbie graduated with honors from the University of California, Berkeley with a B.S. in Society and Environment. Between his junior and senior years, Robbie interned at the Natural Resources Defense Council in D.C., working to help pass the cap-and-trade climate bill in the House of Representatives. Arielle Martinez Cohen (Zero Hour) is a 17-year-old singer, songwriter, producer, and activist from Los Angeles, CA. She has been working in the music business since she was nine years old, singing back-up vocals for artists such as Macklemore, Imagine Dragons, Frank Ocean, Foster The People and Linda Perry, and appearing on the Jimmy Kimmel Show, Conan O’Brien and The Talk, among others. In January 2018, her song, “Two Minutes to Midnight” was used by The Bulletin of the Atomic Scientists in their announcement of the Doomsday Clock, and in March 2018, she sang her song “Why” at the March For Our Lives rally in downtown Los Angeles. This, in turn, led to her being selected by Instagram for their #captureconfidence campaign, featuring teen girls who are using their talents to affect positive change. The campaign was launched on Good Morning America with the release of the book Confidence Code for Girls. Arielle also sang at the National Die In Day rally in Los Angeles in June 2018, and at the Zero Hour Youth Climate March in Washington DC in July 2018. She also participated in the Pathway to Paris Concert along with Jamie Margolin and Elsa Mengistu during the Global Climate Action Summit in September 2018. 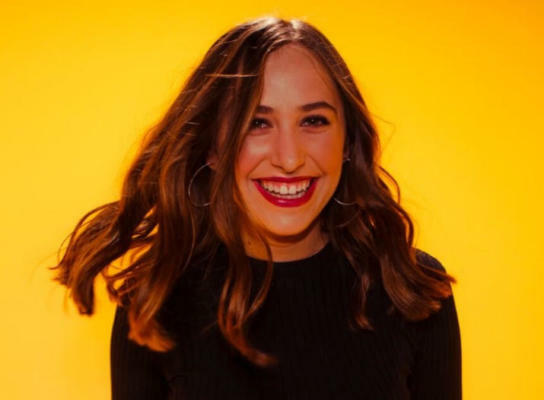 Arielle is now the Partnerships director for youth-led organization Zero Hour, as well as a co-lead organizer for Youth Climate Strike LA. 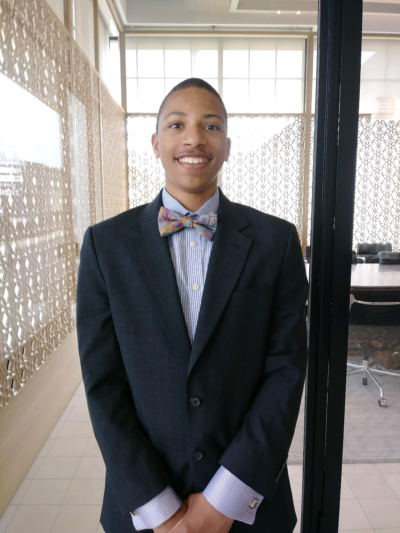 Jerome Foster II (The Climate Reporter) is a high school junior and dedicated climate activist and journalist. He is the founder and editor-in-chief of The Climate Reporter, which is an international environmental news organization that working to unite the environmental movement through all forms of media. He has spoken at the supreme court on behalf of the Our Children’s Trust lawsuit and was one of the main leaders in creating the Youth Climate March with Zero Hour. He will soon be taking the climate change fight to Congress as he interns with Congressman John Lewis for the next five months. He is currently working with the Obama Foundation as the liaison for the youth to promote how the Obama Presidential Center will be carbon neutral. This past summer he traveled to Miami, Florida Keys, and New Orleans reporting on the devastating effects of climate change and journeyed to Iceland with National Geographic where he filmed the island in Virtual Reality. He is currently studying global warming science through MIT and was selected to attend Harvard for two months this summer where he will gain an in-depth understanding of climate change science. Through the Climate Reporter, he will take a trip to China over to the summer to research how the country is transitioning from a fossil fuel based economy to a renewable energy economy. Varshini Prakash (Sunrise Movement) was born and raised outside Boston, MA. She got involved in the climate movement as an undergraduate at the University of Massachusetts Amherst. She joined the UMass Fossil Fuel Divestment Campaign early in her time at UMass and lead the campaign for two years. In Spring 2016, the campaign won after a 2-week long mass escalation in which over 700 students, faculty, and alumni participated. 32 were arrested after peacefully refusing to leave the Whitmore Administration Building until UMass agreed to climate action. For the last three years, she has coordinated fossil fuel divestment campaigns with the Fossil Fuel Divestment Student Network at a regional and national level. She supported campaigns across the country through training, mentorship, and strategic guidance. In the spring of 2018, Varshini supported the launch of the Sunrise Movement building an army of young people to stop climate change and create millions of good jobs in the process. She is the Lead Spokeswoman and coordinates Actions Design.